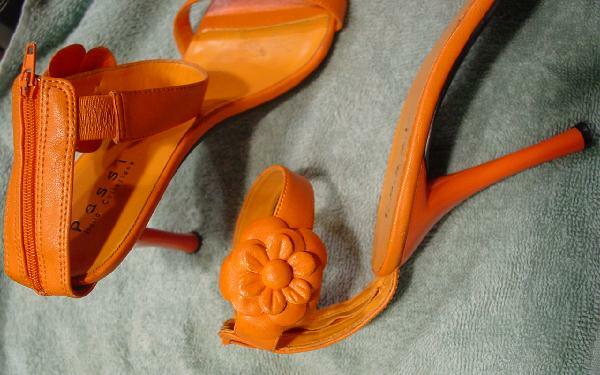 These orange faux leather heels have ankle straps with a flower on the outer side. 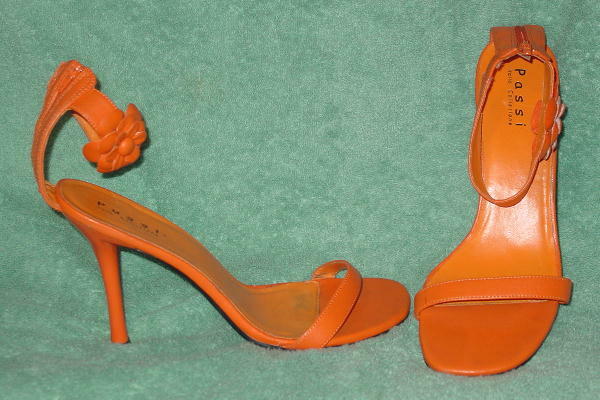 The foot backs have zippers and the heels are a hard plastic. They are by Passi Italia Collezione. The back below the zipper on the right shoe has some darkening (probably from driving) and there is a tiny circular ding (color missing) on the inner side of the heel near the bottom. The left shoe vamp strap has a small dark partial line mark. They're from a Los Angeles model, who wore them to a Hollywood party.